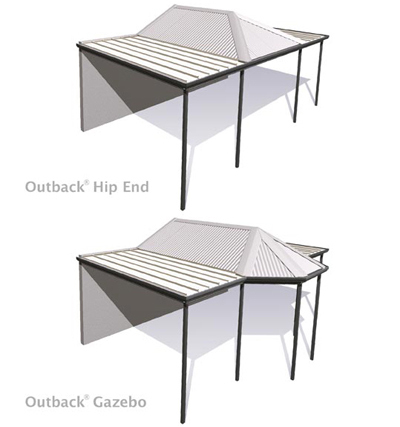 Complete the open end of your Stratco Outback Gable with a Hip End or Gazebo. 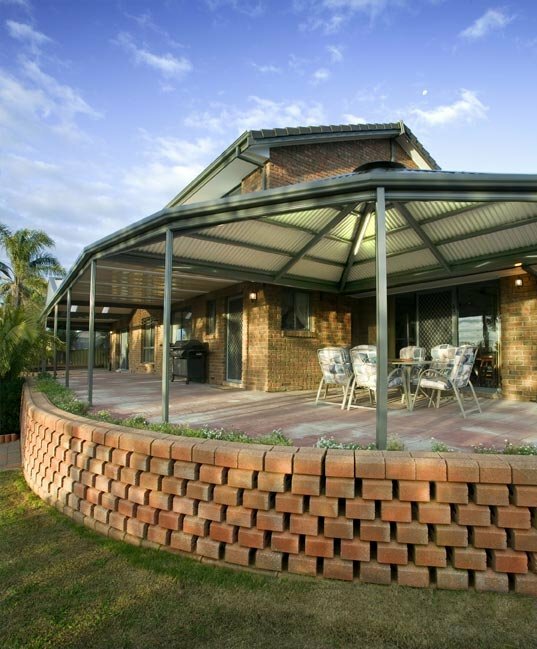 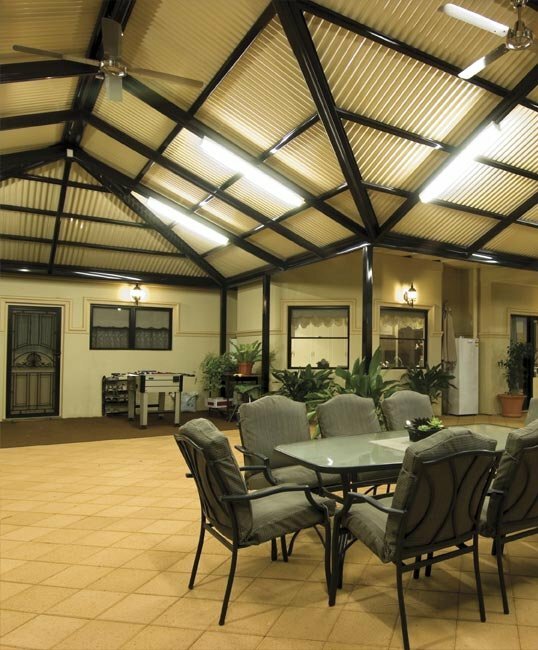 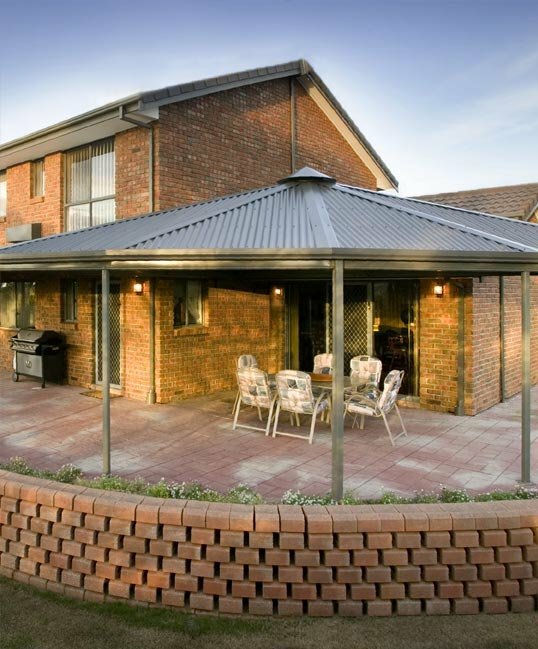 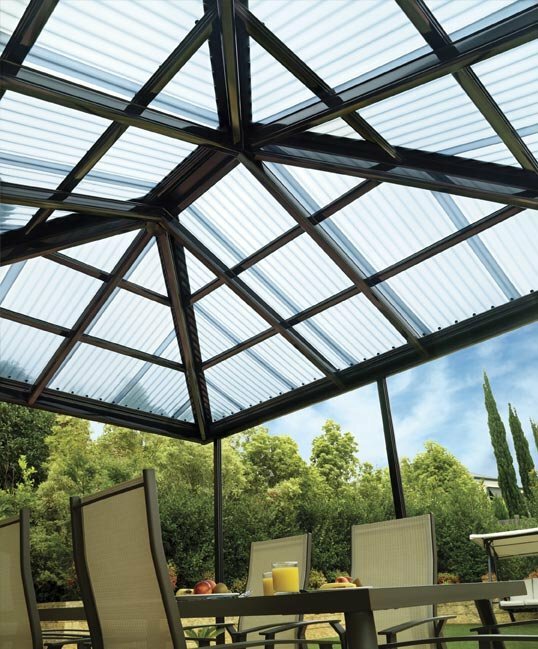 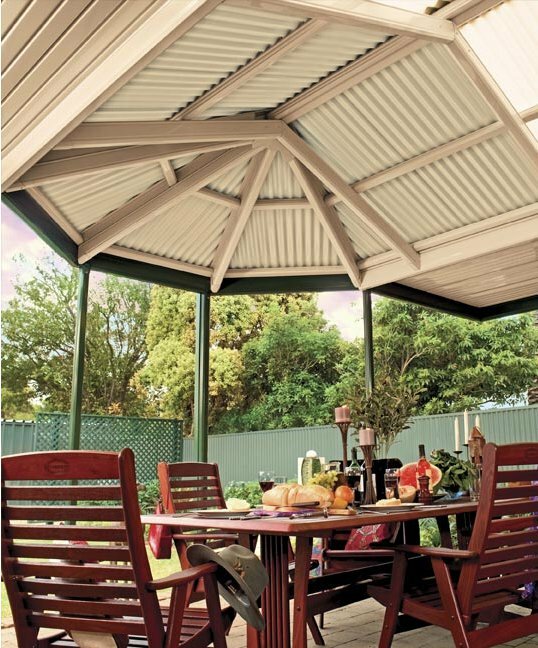 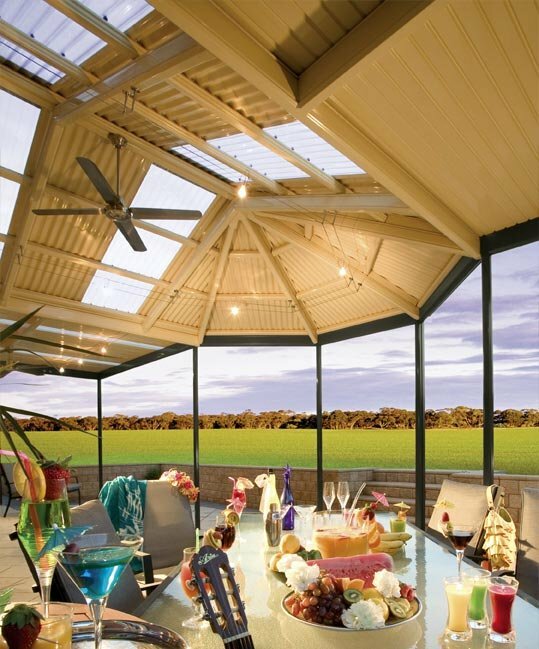 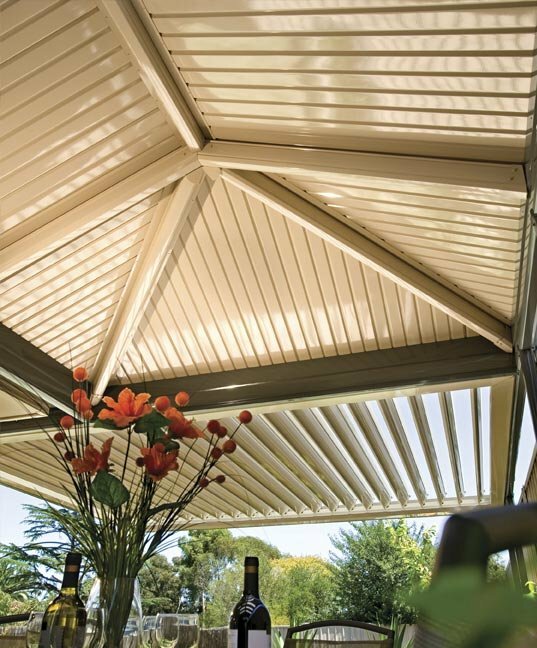 Designed to add a new dimension to your verandah, pergola or patio and complement the existing architecture of your home. 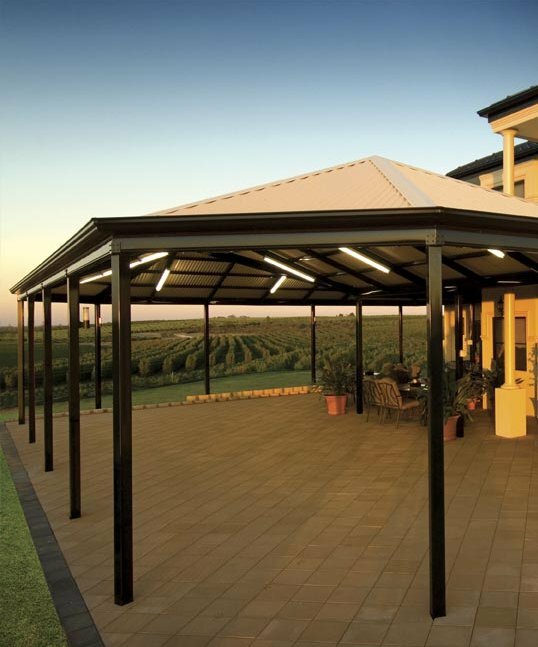 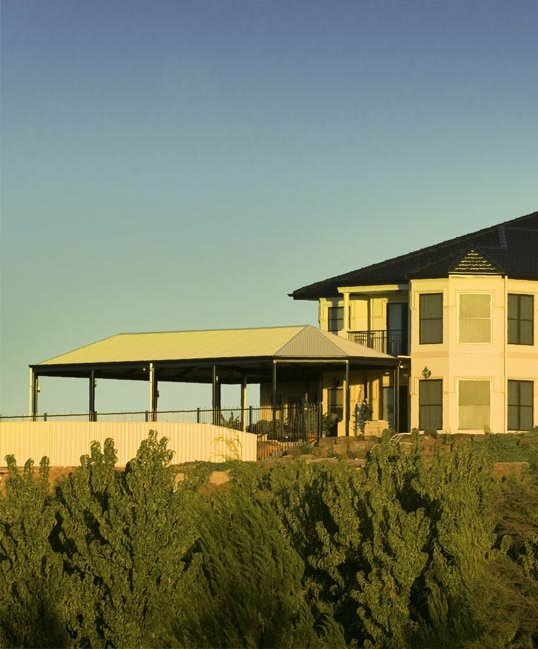 Exuding charm and character, the Stratco Outback Gazebo End adds a new dimension to the end of a Stratco Outback Gable. 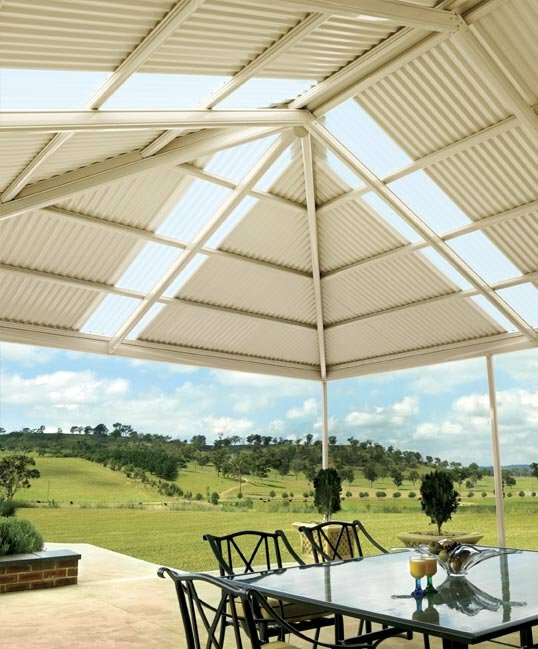 Designed to provide the finishing touch, its distinctive form will impart a refined and elegant air to your home. 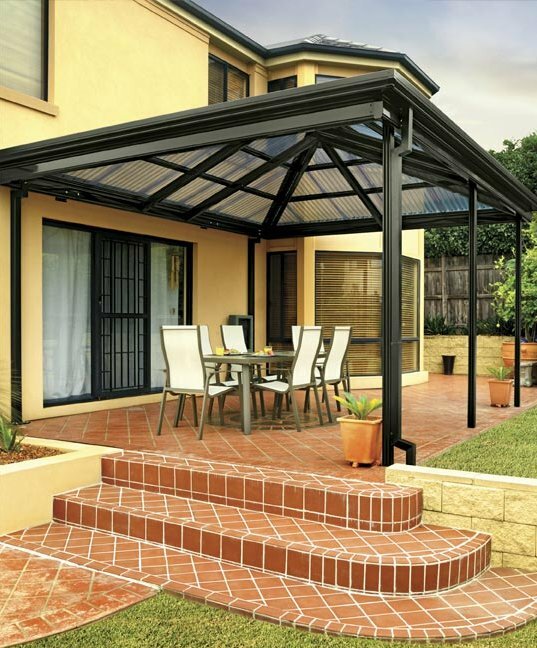 The Gazebo End has been designed to enhance the appeal of any home, and works especially well on homes with bay windows and hexagon forms in the roof design. 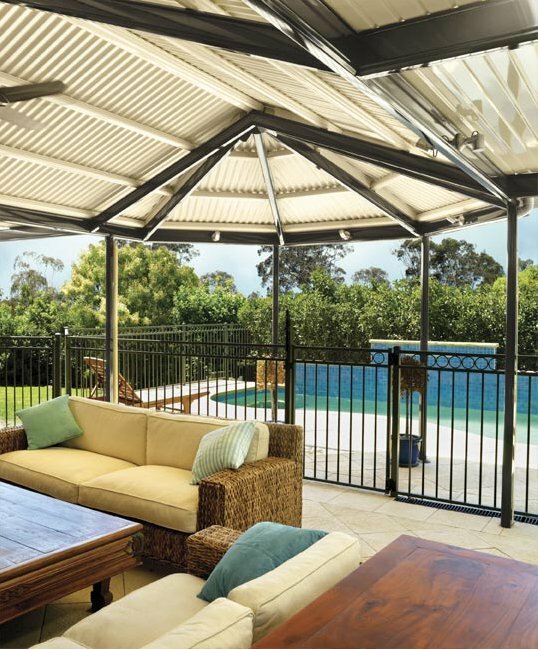 With its enduring style, the Stratco Outback Hip End will add a traditional charisma to your home. 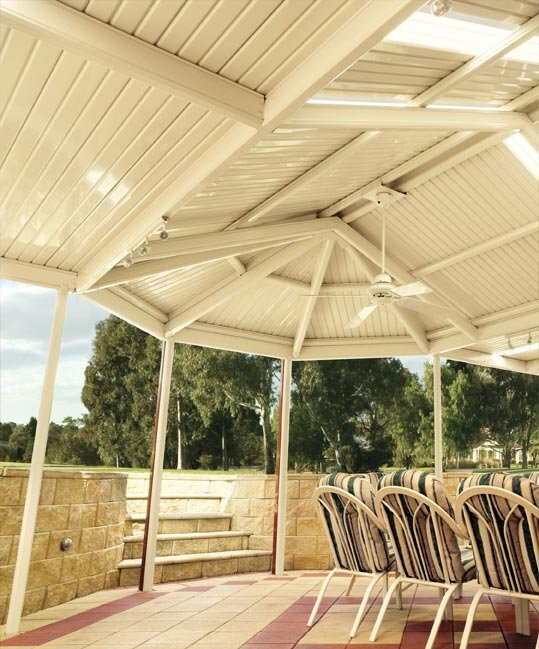 The Hip End is an elegant addition that completes the end of a Stratco Outback Gable. 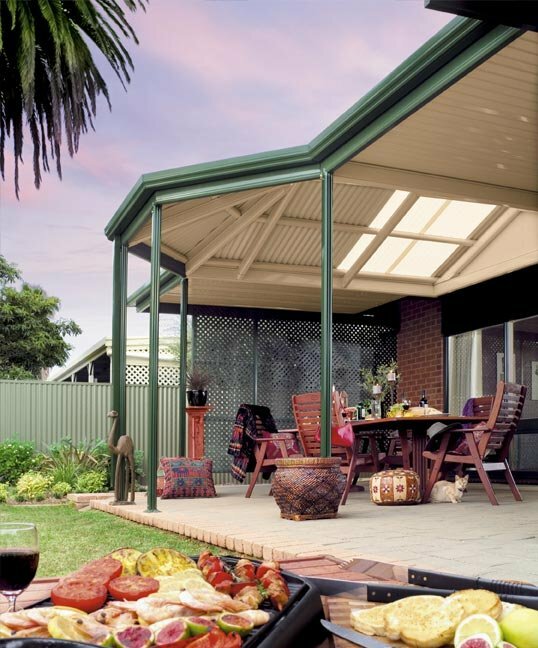 Designed to complement the existing architecture of homes with a hip end in the roofline. 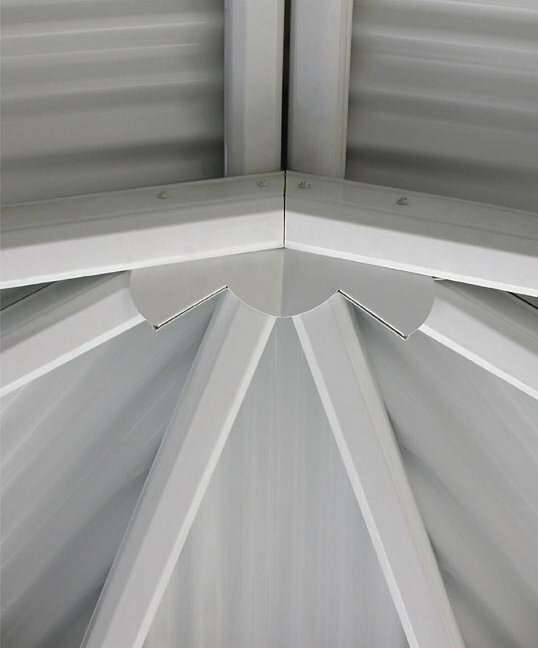 The Hip End can be used to great effect on one or both ends of a gable.